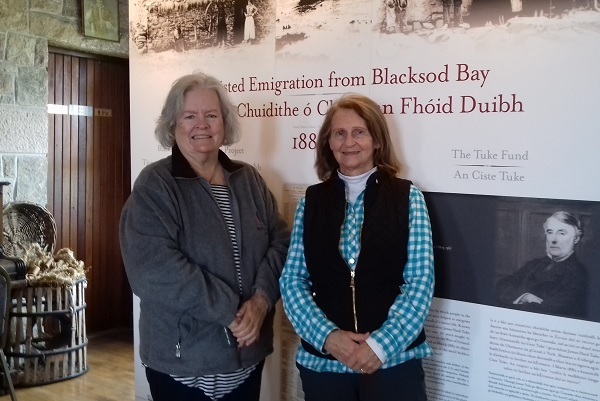 I was privileged to have visited your center in September of 2013 and your staff helped me connect to my cousin Patrick McManmon and family who emigrated from Blacksod during Tuke Fund Assisted Emigration effort. 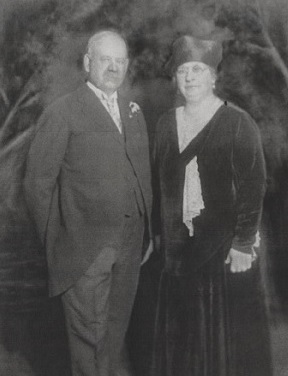 Patrick was the son of James McManmon and Mary Malone (my 2nd great grand aunt) who moved to Glencastle after marrying his wife. I discovered in his obituary that one of the supposed reasons the family was evicted was because he held one of the early meetings of the Land League with Michael Davitt in his cottage. I still live in Lowell, Mass. where Patrick and family ended up living near my Malone ancestors. The Malones were tenants in Claggarnagh West, Glenhest going back to about 1823. John Malone, my 2nd great grandfather and some of his family then moved to Glengad near Glencastle around 1866 to probably live in the Bellmullett/Glencastle parish of his brother Rev. Father Patrick Malone. Father Malone is buried in a marked grave at old Glencastle cemetery. Around 1875 John and family preceded Patrick McManmons and settled in Lowell to seek work in the mills. I am very glad to see some McManmon cousins also visited the center. I would be interested in touching base with them if amenable. 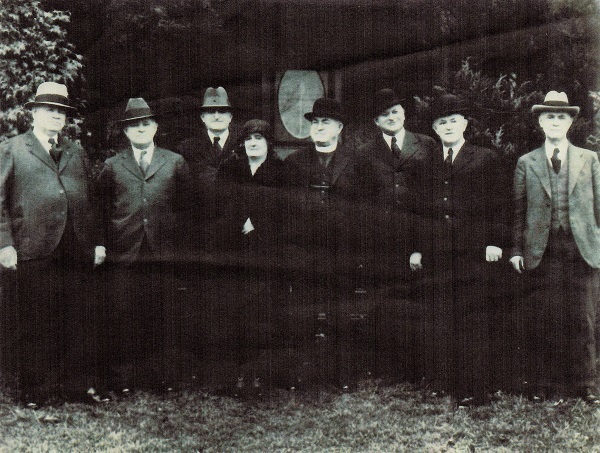 The photo of the couple is of my grandparents James j and Anne L Colins McManmon he was the eldest son of Patrick J McManmon and the one furthest to the left in the group photo. I sent you a photo of PJ. And Cate Walsh MCM. I guess without success. I will send again. Thanks for all your work. Look forward to hearing from you.